For a company that did not believe in credit, it took Hindustan Unilever (HUL) under an hour to open up credit lines during demonetisation. 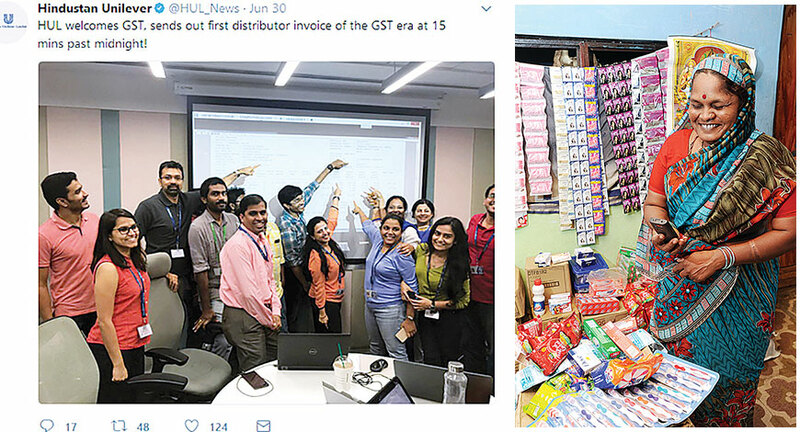 Despite a tendency to be the first in discussing changes with trade and market partners, HUL was among the last to hold its GST Meet, but the first to do it with complete information and all stakeholders, including government officials, on the table. It was also the first to pass on the benefits to consumers; this became possible only because work had started more than a year in advance. 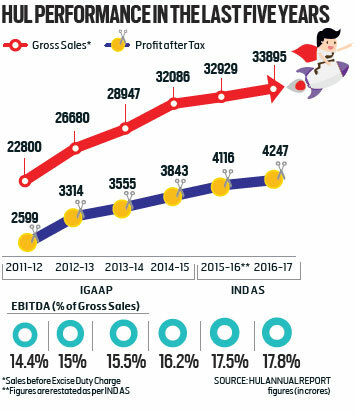 Unlike most businesses in India, HUL was steady in the wake of demonetisation and posted top line growth and impressive profits in the run up to GST. Last month, Forbes named it the seventh ‘Most Innovative Company’ in the world. Its incremental turnover of nearly Rs 11,735 crore in the last five years, is higher than the absolute turnover of most of its competitors. It has consistently improved its profit margins in 19 out of the last 20 quarters, the only exception being the demonetisation quarter. Its market capitalisation has doubled in the last four years to over Rs 2,50,000 crore or over $40 billion. Nielsen crowned it the ‘No.1 Employer of Choice’ for the sixth consecutive year earlier this year. Aon Hewitt ranked it the third best company globally for building leaders. Once a quintessential example of hierarchy and regiment, HUL has reorganised to empower its frontlines. All empirical and circumstantial evidence points to one thing — HUL continues to be on top of its game, but it does so now with all on board. An uncertain economy, a volatile marketplace, stiff competition, and a fast-evolving generation of consumers and employees, have forced all businesses to take a hard look at what will keep them relevant. Against this backdrop, India’s largest consumer packaged goods company is reinventing itself. While still rooted in century-old values, it is embracing the opportunities of a fast-changing world. It has sharpened its focus on growth, while reducing its environmental footprint, and upping its social impact. The company that makes about 35 lakh tonnes in products annually has seen steady growth. In its earnings report for quarter ending June 2017, when the trade sentiment remained cautious, particularly in the run up to GST implementation, HUL’s domestic consumer business grew 6 per cent, while underlying volume growth remained flat. Its EBITDA margin was up 160 bps (basis points) and net profit after tax up 9 per cent at Rs 1,283 crore. These numbers are of significance, especially in light of the developments in India in the last two years. With consecutive years of drought, low increase in minimum support price, and softened commodity prices globally, HUL’s price increase was benign, stripping it off the price growth it saw in the past. Demonetisation and the GST impacted not only its trade pipelines but also the CSD (Canteen Stores Department), halting purchases ahead of switch over, which posed even bigger challenges for all. The numbers stack up in HUL’s favour. In its company outlook, it has also cited expectations for the market to pick up. The broader HUL narrative in fact, makes several pertinent points that answer the larger question of what has contributed to this growth, and why is HUL bullish on the way forward. In the last few years, HUL has transformed. From a bird’s eye view, the changes are visible on several levels. At one level, it has rallied its entire workforce to be much more cohesive and collaborative — working with external partners and stakeholders; and on another, it has decentralised power and authority, empowering its young leaders to make critical business decisions. Through its ‘freedom within framework’ policy, HUL has increased its speed in innovating, decision making and processes. To bolster growth further, the company has expanded its market development capability not only to build newer categories but also to strengthen its premium portfolio. Naturals, also an area where some of its categories have seen intense competition from the likes of Patanjali, is a big theme for the company this year in categories such as personal care and refreshments. Home care continues its efforts to create more first-time users as well as build on future trends such as liquids and trigger sprays. Several variants and price point options that help in straddling the consumer pyramid, are the cornerstones to HUL’s growth strategy. For distribution — an area of competitive advantage for the corporate major — HUL is now leveraging technology to form smarter market feedback mechanisms, reduce time to market, and improve availability of products, in order to remain a preferred partner for customers. 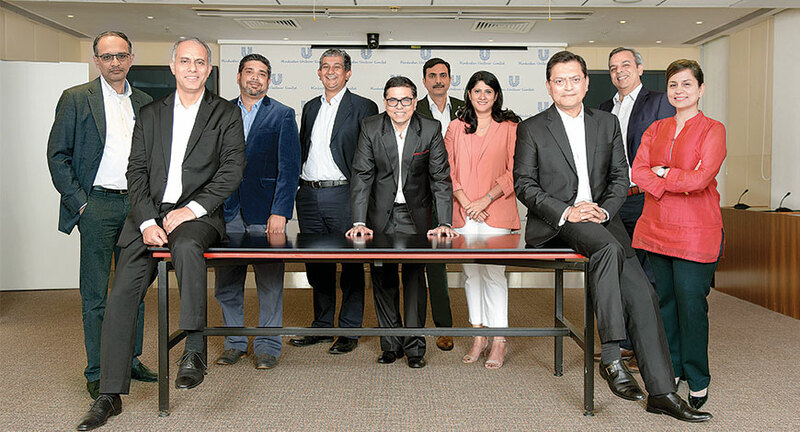 The investment in digital, in all aspects of the business, has been another area of focus and is assisting HUL in its journey from mass marketing to massive customisation, reiterating its “obsession” with consumers. In fact, the headroom in India’s per capita consumption, the expected uptick in rural India, the impact of GST that should kick in investment-led growth, have all contributed to HUL’s positive outlook. Underlying all this, is the Unilever Sustainable Living Plan (USLP) that guides it in all its decisions. According to Mehta, this has become HUL’s biggest differentiator. With the widening trust deficit between public and businesses, and the shift in societal expectations, USLP has become critical. “Today, consumers want to know the company behind the brands. That is where USLP comes in. We are talking about not only growing our business but decoupling it with our environmental footprint and significantly enhancing our positive social impact,” says Mehta. One reality that companies such as HUL have had to deal with is, at present, the market is not firing on all cylinders. The stress that rural markets faced is still not over; the markets that grew much faster compared to urban have slowed down considerably and are now growing at par with the urban market. “We are hoping that with the loan waivers, good monsoon and sensible minimum support price coming through, we will see rural pick up,” says P. B. Balaji, Executive Director, Finance & IT and Chief Financial Officer, HUL. There is merit in Balaji’s argument. One of the aftermaths of demonetisation was the collapse in rural housing, the second largest rural employment generator after agriculture. This compromised disposable income of the largest section of the population. In recent months, rural housing has shown improvement. “These are positive signs, but there are new concerns. Trade still needs to get onboard GST. It is still plagued by the fear of the unknown. As much as we are traversing to a more formal economy, we need to keep reassuring all stakeholders,” adds Balaji. HUL has been doing this through educational exercises directed at trade — by reaching out to the chartered accountant associations and engaging with authorities. “GST will lead to a level-playing field. This will help a company like ours significantly. I believe more businesses will come within the tax net; the government’s revenues will go up; and that, if deployed prudently, will give further fillip to the economy. Also, this will enable us to inject significant efficiencies across the value chain. GST augurs well for our industry and our country,” remarks Mehta. In the categories that HUL operates in, it has begun passing on the net benefit to consumers. This would reduce consumer prices and increase consumption. “Being the leading player in the market, we were the first to take the lead on this. Many industries would begin soon, which should spur consumption,” adds Mehta. GST could mean lower fiscal deficit with broader tax base, leading to inflation-less growth. It is also expected to create investment-led growth that will trigger a multiplier effect. Another area of significance for HUL is the low per capita consumption in India. “This is the excitement of being in India. None of the categories we operate in are anywhere close to maturity. Even in categories, where the penetration is high, there is a huge headroom to grow by increasing consumption, frequency of consumption or trading consumers to higher order benefits,” asserts Mehta. For a company such as HUL, each category signals scope for growth. For instance, in skin cleansing, there is room to increase consumption by shifting bar users to liquid, and then there is premiumisation, essentially implying moving to higher-end products. While in beverages, nascent segments such as green tea can lead to accelerated growth. “A large part of our growth will come from market development. HUL knows the science of market development given the various categories we have developed, but the difference now is the scale and precision,” informs Mehta. HUL has ramped up its market development efforts by a factor of eight. It reaches millions of consumers every year, educates them and helps them experience its brands, with an aim to unlock the potential of nascent categories. Its thrust on premiumisation also comes from market development. In laundry for instance, it is moving from powder to liquids for washing machines. In refreshments, it is adding natural care and green tea. In personal care, it is creating categories of anti-perspirant, hair conditioner, liquid soap and the likes, all to build markets of the future. Upgrading consumers to higher-order benefits also enabled the company to improve its operating margins. One of the biggest vectors in India is urbanisation. HUL’s approach towards straddling the pyramid comes in play here. For some of HUL categories, this means a constant move to change behaviour and add new users. “As more homes are being built, there are more surfaces to clean. Consumers have more income in their hands, and want better lives, for us that is a huge opportunity,” iterates Priya Nair, Executive Director, Home Care, HUL. Government initiative Swachh Bharat that led to toilet building also contributed to the company’s growth plans. “When we create accessible solutions such as Domex toilet powder, there are significant opportunities,” says Nair. In household care, by changing consumer habits to use dish-washing bars instead of ash, the company had more consumers entering the consumption basket at the lower end. At the same time, products such as surface cleaning trigger spray Cif are aimed at top-end consumers. “In household care, unlike laundry, we see both ends of the pyramid grow,” explains Nair. In categories such as refreshments, HUL brands grew in double digit despite the economic challenges. “The lesson is, however tough the economy is, new categories are constantly emerging in a market like India. For us, green tea, natural variants in tea, instant coffee, indulgent ice creams are all growing well. If you peg yourself on trends, slow economy or not, you can find ways to grow,” says Sudhir Sitapati, Executive Director, Refreshments, HUL. In the naturals segment, HUL has not only launched variants in existing brands such as Ayurveda in Clinic Plus and Fair & Lovely or Botanique in TRESemmé, but also introduced specialist brand Citra and acquired haircare brand Indulekha. The master brand Lever Ayush that was test marketed in South India, recently went national with a range of products in skin, hair and oral care among others. “Across segments we are innovating, foraying into newer areas and developing the markets, where we feel the segments are ripe for growing,” states Mehta. With a rapidly changing consumer landscape, HUL realised that India is not a homogenous market and needs to be broken down into different consumer clusters based on their ethnicity, customs and socio-economic attributes. This led to the creation of its philosophy Winning In Many Indias (WIMI), which transformed HUL from a four-branch structure at the front end to 14 distinct consumer clusters that roll up into five sales branches. In addition to the north, east, west and south branches, it now has a central branch headquartered in Lucknow. This framework has evolved as part of HUL’s effort to try to serve customers more effectively. As part of its Connected For Growth (C4G) programme, HUL did a significant change to its organisational structure in 2016. It set up Country Category Business Teams, which are cross functional and led by young leaders. Despite volume growth remaining flat in the last quarter, HUL still registered growth in margins. Mehta credits this to two big factors. One, the company’s pursuit of premiumisation; and two, Project Symphony that was launched three years ago with the objective to enhance efficiencies and effectiveness and in the process remove non-value-adding costs from its business. “Generally, the job of saving costs is given to a small set of people who work in the back office. We rallied the whole company, and made it mainstream. 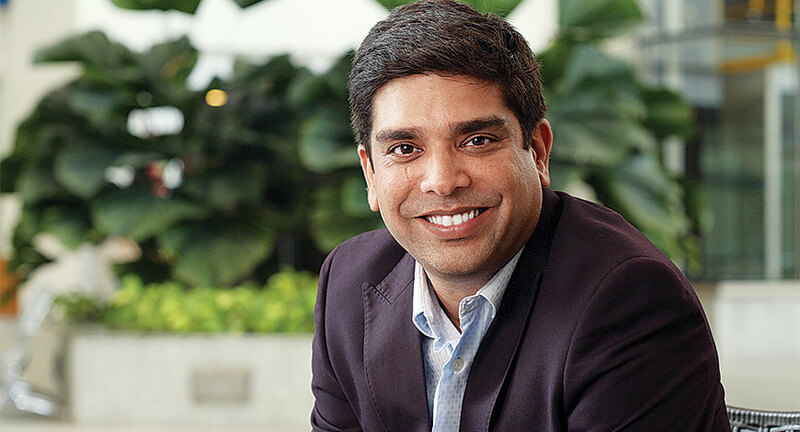 We got ideas from all over the business, and cross functional teams worked to ensure that any costs that did not add value to consumers or to the business, were removed,” informs Mehta. One of the biggest changes in HUL is its organisational culture. In simple words, HUL has cut down its hierarchical approach to create a more open and inclusive culture. “The culture of an organisation evolves with the times and the expectations of its employees. To succeed in this new world, agility is the currency. The culture of entrepreneurship is critical. In line with breeding that culture, experimenting is important,” reflects Mehta. 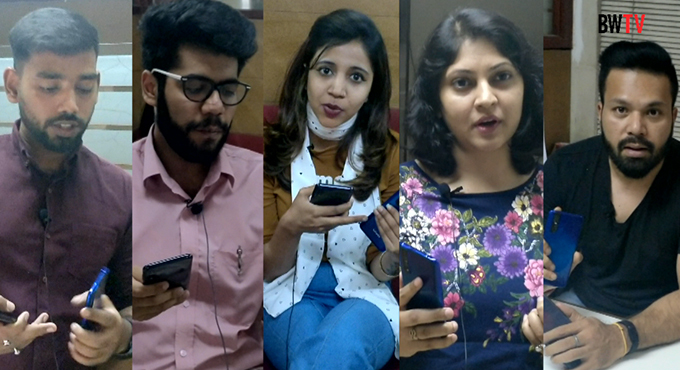 HUL has scores of ongoing experiments in the company, run mainly by its young leaders. “It does not matter if they fail, but I can tell you that when even a handful of these innovative ideas work, many of which are in the digital and tech space, we will have blockbusters that will play a big part in reinventing HUL,” says Mehta. “We want an organisation that does not hesitate in taking risks and experimenting, and when it trips and falls, it gets up and starts running faster. To have this kind of culture, you need an open environment and a less hierarchical structure. That is when you foster innovation and creativity,” adds Mehta. To ensure success in this open culture, HUL works within a framework — with “liberating rigour”. Discipline has been inculcated on experimentation too. Mehta works with young team members directly and reviews their ideas and ‘experiments’. “So we know how much money is at stake, and more importantly it gives us the opportunity to mentor the young leaders,” he says. HUL has invested significantly in its digital capabilities. Its market share in e-commerce is higher than its share in modern trade and general trade. “We can do much better, but I am reasonably satisfied with the results. More importantly, we have invested ahead of the curve,” he says. At the same time, Mehta acknowledges that there is no one KPI that will indicate the progress on digital transformation, but it is in the totality of things. For instance, a company cannot compete in the digital world without the right speed, talent and capabilities. “We are able to attract amazing talent and we are very committed in keeping our people on top of their game,” he informs. 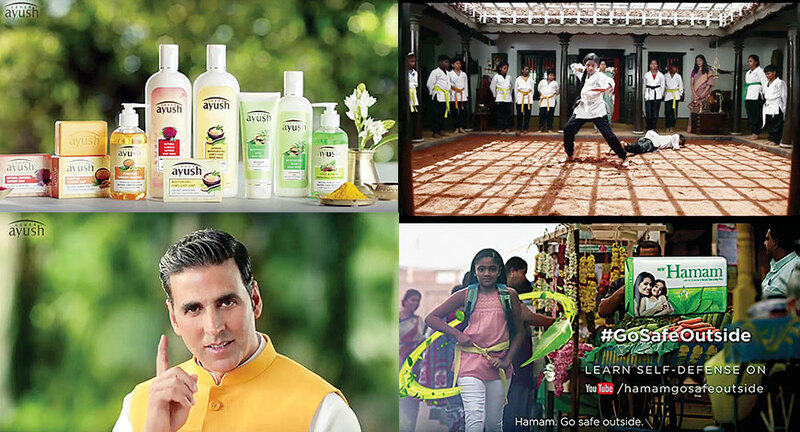 When HUL was developing e-commerce for example, it added e-commerce savvy talent from outside. 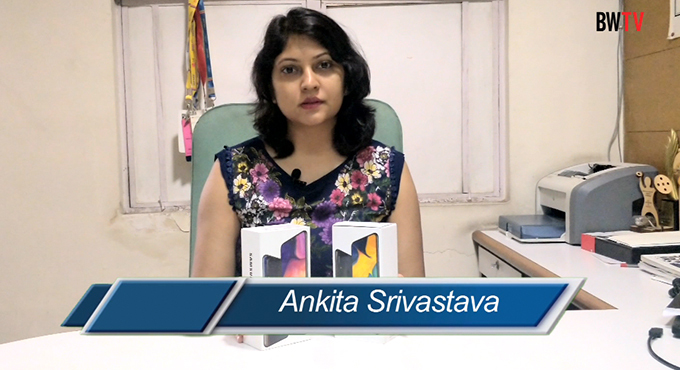 The company also understands that digital cannot be contained in one pocket. HUL initiated reverse mentoring for its senior people. “I have a young mentor for instance. We have excellent training programmes for our marketing and sales people. The expertise in digital is precarious as it is a fast-evolving curve, so the only way is to experiment and keep learning,” he says. In a connected world, digitisation needs to be the core of every strategy and not at the periphery. “With the growth of analytics, big data and the Internet of Things, the way each and every function operates will get redefined in the coming years. HUL plans to ride this by orchestrating holistic interventions across the value chain and by innovating with newer technologies. This will re-define the way the company will work in the future,” he adds. More often than not, HUL has been defined as the marketing factory for India. This is not only due to its inherent strength in understanding the Indian consumer but also its ability to drive the conversation and leverage newer forms of communication. HUL has been honing its efforts in this direction. The company set up PDC (People Data Centre), pooling in data it had access to from across all its touchpoints, to create actionable insights. “Data, analytics, listening to consumers and to what is happening in the industry gives us very rich insights. But eventually, it is up to marketers to join the dots,” points out Geetu Verma, Executive Director, Foods, HUL. She explains that consumers will speak on things that are big for them, but it is for the company to see what the conversation is, what categories are exploding, and the kind of solutions that can be brought in the spaces that line up with company strategy and plans. The launches in the naturals category, according to company officials, was a step in this direction. 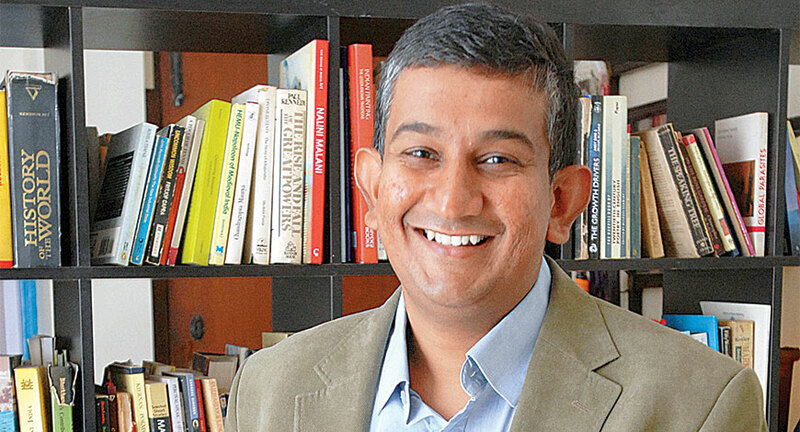 “If there is a consumer space that does not have a brand, we will bring one — we will either launch a brand or bring one from our global portfolio,” asserts Sandeep Kohli, Executive Director, Personal Care — a category that has seen the most intensive competition from Patanjali. Kohli explains that HUL is positioned well to walk the talk of massive customisation — a move that will guide the company in its future readiness. 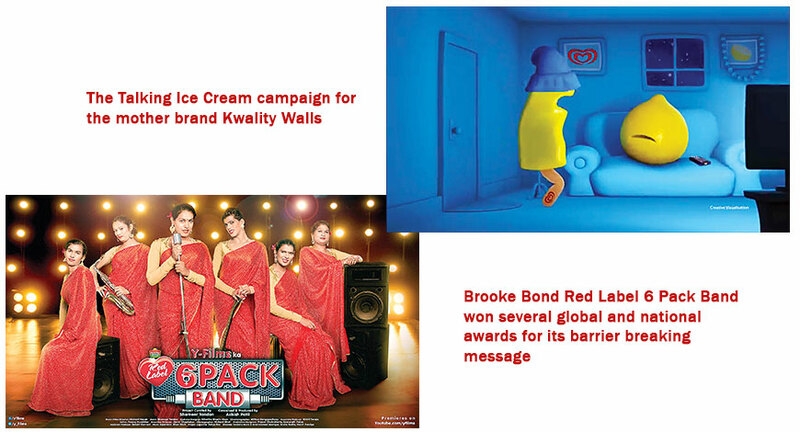 Citing the example of Lakme, he enumerates initiatives such as Lakme Fashion Week; publishing platform ‘Be Beautiful’; the Lakme counters where beauty advisors interact with consumers on an individual level; and the Lakme Salons, where they engage with consumers more closely — together, these offer a range of mass and customised solutions. “We have developed a business system that operates from kajals to high-end creams, with a massive number of SKUs, and we help consumers navigate this range. We are perfecting this all the time — our mission in personal care India is to get a billion Indians to take more care of their personal care. We are on a journey with the consumer and as their life evolves, we are there with relevant options. That is how we translate mass marketing to massive customisation,” says Kohli. HUL may be taking a larger than life view, but it has not deviated from its growth objective. While facing external headwinds, it has fought competition, understood consumers, survived and thrived in changing business environments — all with the objective of doing well by doing good. 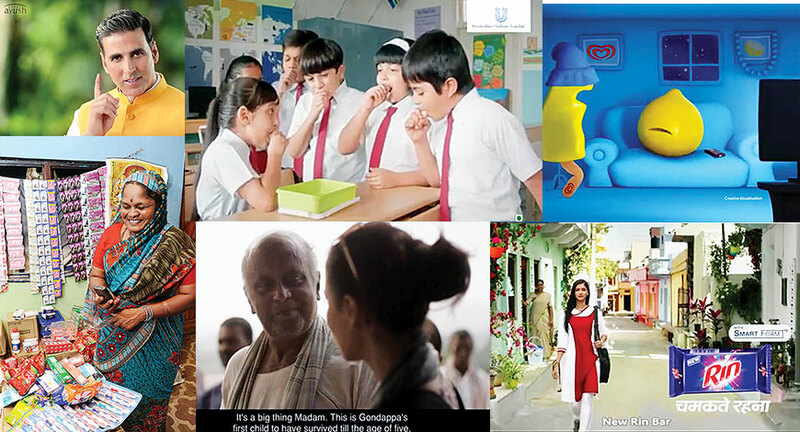 In its endeavour to change consumer behaviour, there is much that HUL has learned — to be humble as a company. A company that understands that today’s times don’t allow winning as an organisation, but as an ecosystem. So every new step that it takes, it takes it with these learnings in mind. The USLP has three big global goals — to improve health and hygiene of one billion people through its brands; reduce environmental impact of its products; and boost the livelihoods of millions of people. Several HUL brands and initiatives contribute to these goals. For instance, the Lifebuoy hand washing behaviour change programme has reached over 60 million people; the Pureit safe drinking water initiative has provided over 70 billion litres of safe drinking water; and Domex toilet academy has benefitted about 6 lakh people in rural India by providing access to sanitation. The USLP makes it imperative for brands to continuously reduce their environmental impact. 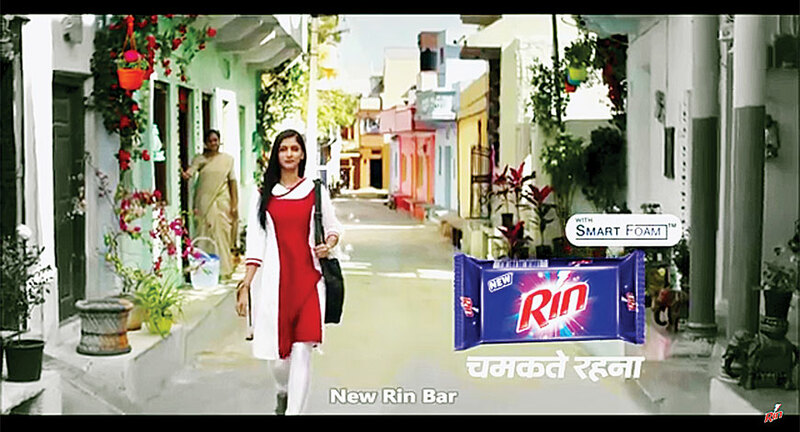 An example is the recent launch of Rin detergent bar that employs ‘smart foam technology’ to save water. 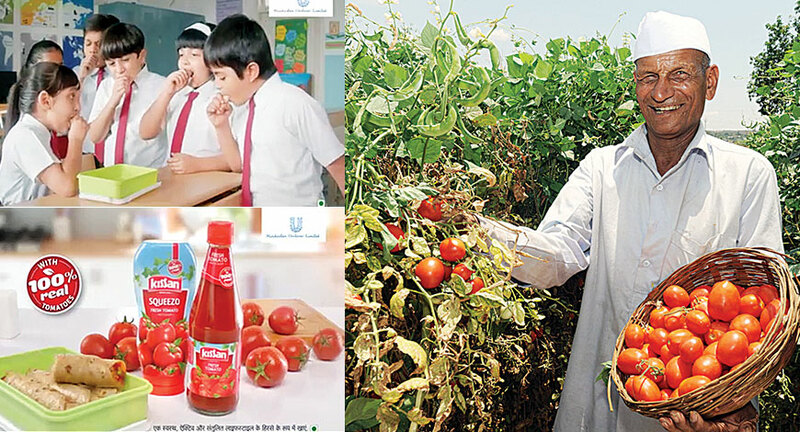 Brand Kissan sources 100 per cent of the tomatoes used in its ketchup sustainably. In fact, HUL tea brands source over 40 per cent of their tea sustainably. This not only improves the livelihood of small holder farmers but also assures uninterrupted supply of raw materials to the brands. HUL has identified water as a priority area. Through the Hindustan Unilever Foundation (HUF), it operates the ‘Water for Public Good’ programme with specific focus on creating capacities to conserve water both from demand and supply side thereby improving farm-based livelihoods. Since its launch in 2010, HUF along with its partners has created capacities to conserve more than 300 billion litres of water. USLP encourages the company to develop innovative, sustainable and futuristic solutions. Suvidha Community Centre is one such example. HUL rebuilt an existing toilet facility on World Toilet Day 2016 in one of Mumbai’s largest slum areas, providing water, sanitation and hygiene infrastructure to low-income households. Run as an entrepreneurial set up, the centre combines the services of Domex, Pureit and Lifebuoy to supply safe drinking water, laundry, showers and toilets at affordable costs. The centre is designed to sustain itself; provides services to consumers, puts HUL brands in use, and 90 per cent of the water used is recycled.